Kiss day does not just mean to give a kiss to your beloved ones. You should also convey your feelings through the kiss. But for those who are far away from each other, they only have one choice to convey their feelings and that is through messages. Here are some messages. A kiss is something you cannot give without taking and cannot take without giving. Happy Kiss Day! Happy Kiss Day My LOVE! When You are far away from me, I miss you so much and miss the kisses you gave me. I am STRAWBERRY & U R the CREAM. U & ME together is PASSION so extreme! 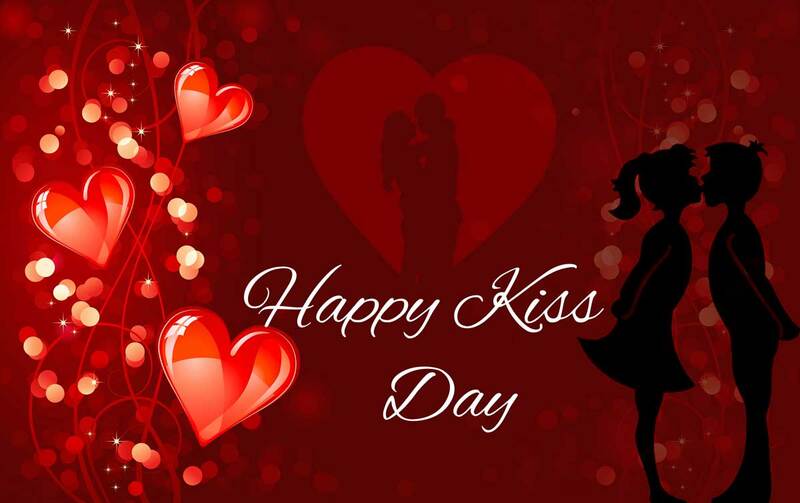 A kiss is a lovely trick designed by nature to stop speech when words become superfluous.” Happy Kiss Day! One day you will kiss a man you can’t breathe without, and find that breath is of little consequence.” Happy Kiss Day! Drink to me only with thine eyes, And I will pledge with mine; Or leave a kiss but in the cup And I’ll not look for wine.” Happy Kiss Day! So which you prefer to KISS me, honey? So guys, all set to celebrate the day of kiss?